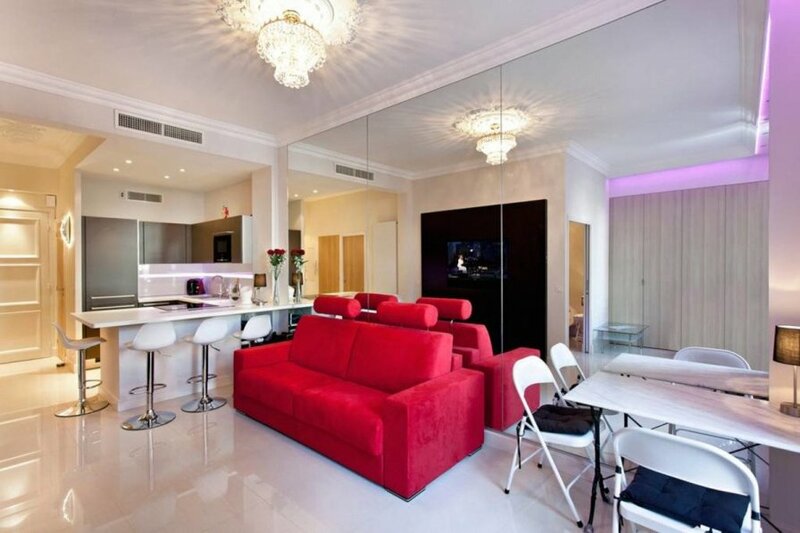 This 1 bedroom apartment is located in Croisette-Palm-Beach and sleeps 4 people. It has WiFi and air conditioning. In one of the most renowned residences of the Croisette, splendid 2 rooms entirely renovated with balcony. The apartment is composed of an entrance with toilet, a living room with open kitchen, a bedroom with 2 single beds or a double bed, in double communication with the shower room and living room. Sofa bed of 160, wifi, air conditioning. Possibility to rent a parking space.